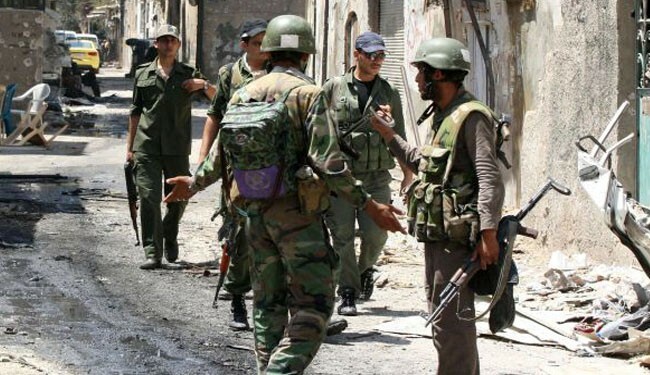 Syria Today, Dec 7: Regime Mass Killing of Civilians in Nabk in Damascus Province? Details are still sketchy, but it appears that President Assad’s forces have killed dozens of civilians in the town of an-Nabk (an-Nabek), 65 kilometers north of Damascus — a day after “poisonous gases” amid regime bombardments caused at least seven deaths. An-Nabk is north of Yabroud. Click here to see a map of the town’s location. Activists claim that an Iraqi militia fighting for Assad raided homes, seized residents — including women and children — and executed them. More than 40 people were killed, activists say. The Syrian National Coalition on Saturday said that the mass killing had taken place in the al-Fattah neighborhood of the town. The Coalition claims that the civilians killed had been hiding in a basement of a building, and that after the killings, Assad’s forces set fire to the bodies in an attempt to destroy any evidence. The opposition Qalamoun Media Center said it has not been able to reach Nabk and Assad forces have cut all communications. However, activists said that one of the victims was able to send a message to a relative describing the scene before she was killed. Nabk is an important objective in the regime’s Qalamoun offensive, seeking to take territory between Damascus and the Lebanese border. It is near the Damascus-to-Homs highway, which has been blocked by insurgents since the offensive began last month. Syrian forces have been bombarding the town each day, and on Thursday they were accused of using weapons which caused death by chemical toxins. The Nabk killings contributed to a death toll of 141 across Syria on Friday, according to the Local Coordination Committees. Among the dead were 47 children and 25 women.